Out of Time. They make the case that the music was less important than its packaging. 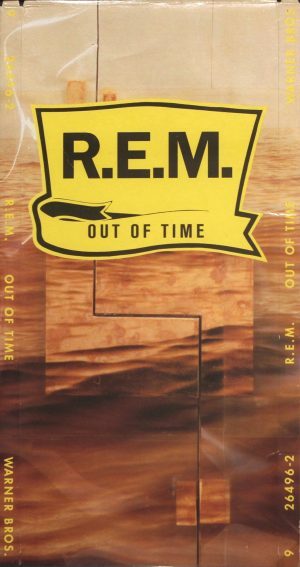 REM’s Out of Time is the most politically significant album in the history of the United States. Because of its packaging. In 1985, the pop charts were full of Prince and Sheena Easton and the youth of America were being corrupted. Tipper Gore and other elite women of Washington formed the “Parents Music Resource Center” (PMRC) to put pressure on the creators and distributors of “objectionable” music. There were Senate hearings, and eventually those little black and white Parental Advisory stickers started appearing on albums. This set off a wave of censorship across the country. In 1990, a Federal district judge in South Florida ruled that the rap group 2 Live Crew’s album “As Nasty As They Wanna Be” was so obscene that it couldn’t be sold or performed within his jurisdiction in South Florida. Three days after the ruling, 2 Live Crew played a show in a county within his jurisdiction, and afterwards two members of the group got arrested. The idea behind Rock the Vote was simple: get young people to vote for politicians who wouldn’t censor music. Ayeroff got about sixty people together in a Los Angeles hotel to talk about launching Rock The Vote. Frank Zappa was there, past and present California Governor Jerry Brown was there, as well as a bunch of record executives, including Jeff’s friend, a record executive at Warner Brothers named Jeff Gold. Gold’s major project at the time was trying to figure out how to package CDs. Compact Disc packaging was the hot topic in the record world of the late 80s and early 90s. CDs had been around for a few years, but record stores still didn’t have a good way to display them, because their shelves were formatted to display 12” vinyl LPs. The solution was to package CD jewel cases inside of cardboard boxes that were just as tall as a vinyl album but half as wide. This allowed the shelves to fit two “longbox” CDs side-by-side on an LP rack. Artists, however, objected to the wastefulness of the longbox. In 1991, R.E.M. had a record coming out, and they did not want millions of trees cut down just to create this extra packing. The Warner Brothers sales department knew that this album absolutely had to come out in a longbox if it was going to do well in retail, and that’s when Jeff Gold realized that he could merge the two projects he was working on. Jeff Gold realized that he could convince R.E.M. to use a longbox if they could use the CD longbox to advance the Rock the Vote campaign. Jeff Gold needed a concrete political cause to connect it to, and Jeff Ayeroff brought him just the thing: the “Motor Voter” bill, which been bouncing around Congress since the 1970s. If passed, Motor Voter would allow people to register to vote at the DMV when they got a driver’s license. It also allowed citizens to register by mail, or when they applied for social services like welfare or unemployment. Basically, the Motor Voter bill would make it easier for lots of people, including young people, to register to vote. By 1991 a few states had already adopted it, but Congress had never been able to get it passed nationally. 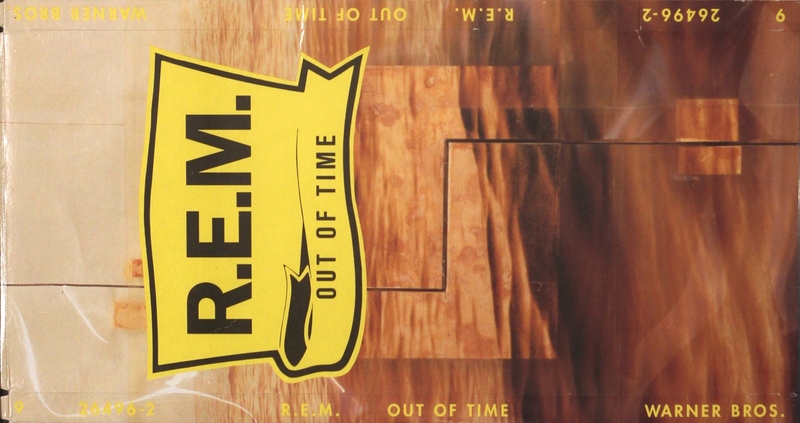 R.E.M.’s longbox, printed with a petition in support of the Motor Voter Bill, became a piece of political machinery. When Out of Time hit the record stores on March 12th, 1991, the petitions started rolling in. After 3 weeks, they had received 10,000 petitions, 100 per senator, and they just kept coming in in droves. About a month after R.E.M. released the album, Rock The Vote’s political director, along with members of the hip hop group KMD, wheeled a shopping cart full of the first 10,000 petitions into a senate hearing. In May of 1992, after thousands of petitions and the Senate testimony, the Motor Voter bill passed Congress. Then President H. W. Bush, in the middle of his re-election campaign, vetoed it. Bush’s opponent, Bill Clinton, took up Motor Voter as a talking point, and after he won, he signed it into law as the National Voter Registration Act of 1993. The National Voter Registration Act went into effect in 1995. From that year to 2012, the percentage of the population that is registered to vote went from 69.5% to 79.9%, and over 150 million voter registrations have been filled out at the DMV. That, ladies and gentlemen, is why no album in the history of recorded music has had as large an effect on politics in the United States as R.E.M’s Out of Time. Reporter Whitney Jones spoke with Jeff Ayeroff and Jeff Gold about the creation of Rock The Vote and the death of the longbox. As an aside, 99% Invisible from PRX is a brilliant show about design, presented by Roman Mars. You should subscribe to this podcast feed and follow them – you won’t be disappointed.